Setting up a planted aquarium requires you to choose the best substrate that promotes plant growth and health. Substrate refers to the material (sand, pebbles, gravel, etc.) that is at the bottom part of your tank. They’re not as easy to change as the other stuff in the aquarium, so you might want to think it through carefully. The best substrate for planted aquariums supports the root system and provides the essential nutrients for the plant. They also keep the tank clean by keeping bacteria away and the fish poop at the bottom of the tank. When setting up your planted aquarium, keep in mind that the size of the granules has an effect on the roots. Large granules of the substrate may block root growth while small granules might crush the roots. A good start would be to do add the substrates in layers. For the first layer, mix the substrate with solid fertilizer. The next layer is just the finest granules of substrates (no fertilizer). Add the water slowly and carefully to prevent agitating the substrate. As you create those layers, make sure they are at an appropriate depth for the aquatic plants. The depth is dependent on the type of plant you are going to use. There are four kinds of aquatic plants that will help you determine its root type. First are plants with roots that can attach to rocks or wood such as Anubias and Bolbitis. The second kind have big rootstocks like Aponogeton, while the third kind has long stems but shallow roots like Rotalas. Finally, the last are deep rooted plants such as cryptocoryne. To give you an idea of how deep or thick the substrate should be, think of the plant type. Of course, deep-rooted plants will need more depth. Otherwise, the roots might entangle, which will prevent the plants from getting the nutrients they need. Such kind of plants will need around 2-3 inches of substrate. Carib Sea Substrate is one of the widely used and reputable brands for planted aquariums. With over 600 Amazon reviews, most of which are positive, you can say that this option is a safe choice. 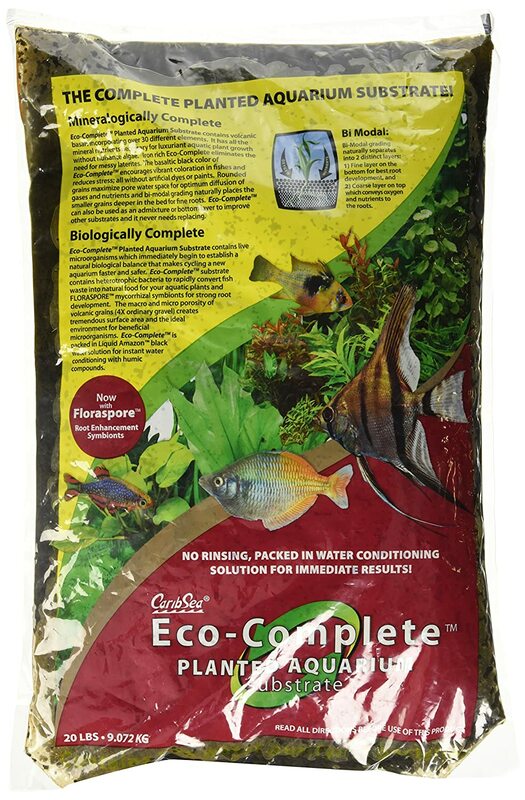 The Eco-complete planted aquarium substrate is a fertile basaltic volcanic soil and contains all the major elements that support healthy plant development. This includes calcium, iron, sulfur, magnesium, potassium, and over 25 other elements. Another advantage of the Eco-Complete is that it does not contain any artificial chemicals, coloring, or other additives. Dark color (close to black) adds character to the tank. ​Widely used brand adds to the reliability factor. Not suitable for saltwater tanks. The team behind Seachem Company is composed of hobbyists and not just people in business. That gives us a little bit of more trust knowing that they own and maintain aquariums, too. They share their knowledge in setting up aquariums because they know what does and doesn't work based on experience. 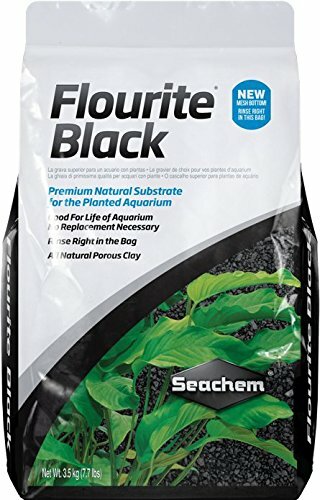 The Seachem Flourite Black is a premium natural and porous gravel suitable for planted aquariums. It contains high amounts of aluminum, iron, calcium, magnesium, and sodium, but also many more other minerals. You can use it alone, or you can mix it with other gravels, but it's most effective alone. There are many other variations of fluorite, including Fluorite Red, Fluorite, and Fluorite Dark. The differences between them are the color and the slight differences in the mineral content. Being clay-based, it can be messy and can cloud the water. You might want to rinse it lightly first to get rid of microparticles. When adding water, do it slowly and carefully to avoid agitating the substrate. Initial cloudiness is expected, but it will clear up eventually, or even faster with mechanical filtration. ​Widely used and reputable brand, so it's reliable and easy to find. It comes in 3.5 and 7.5 kg bags. The mesh bag also has a mesh bottom so you can rinse the substrate quickly right in the bag. The black color is very elegant and makes the tank look great. There are also other colors like red and brown. Rich in different minerals that promote healthy growth of plants. Being clay-based, it can be messy setting up. Clouds up the tank during setting up and maintenance. Aqua Design Amano (ADA) has been around since the early 90's. They have a goal of developing products that create a harmonious relationship between nature and humans, with the main focus on aquatic plants. They manufacture import, and export everything related to setting up an aquarium, from substrate system to filtration system, to lighting, and more. 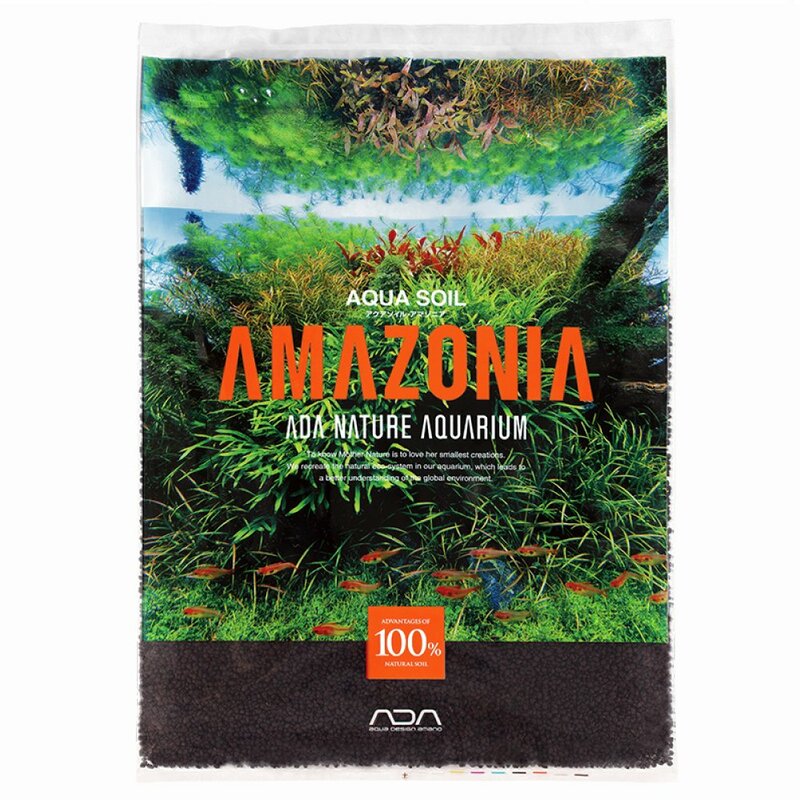 One of their main products is the Aqua Soil Amazonia. It is a substrate that is high in organic acid and nutrients to aid in aquatic plant growth. The good thing about the ADA Amazonia is that it has just the right size of granules that allow the plant roots to grow into. It also helps bring the water pH level down to a health level for plants. Granules are a good size and not messy to set up. The substrate can lower pH levels, which can be good for plants, but not all fish. Make sure your fish and plants will benefit from the substrate you choose. Fluval has over 35 years of expertise in aquatic products. They have everything from filtration systems to plant care to decor and maintenance. 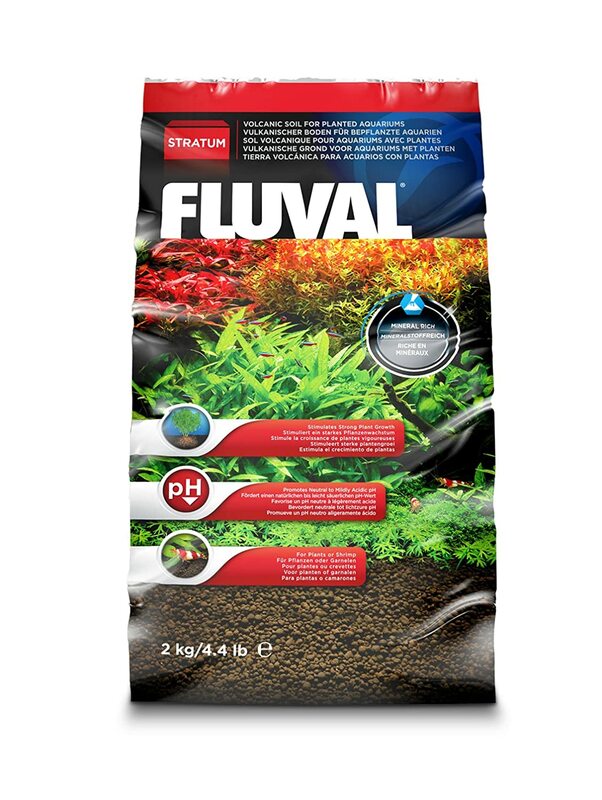 The Fluval Plant and Shrimp Stratum is a popular product that is volcanic soil rich in minerals. The volcanic soil contains so many nutrients that promote plant growth. Another advantage of this substrate is that it is light. It also doesn't compress too much or become too tight so that the roots can attach very well. This also allows good bacteria to keep the water at top quality. If you have shrimps in your tank, then this is also a good option because it provides them shelter. Great for not only plants but also shrimps. It comes in four different sizes, so you can choose what’s appropriate for your aquarium size. Might be too light for some plants that it stirs up very quickly. The Mr. Aqua Soil Substrate is a great option if you want to lower water pH level. It also contains lots of nutrients that support aquatic plant growth, while keeping the fish safe as well. 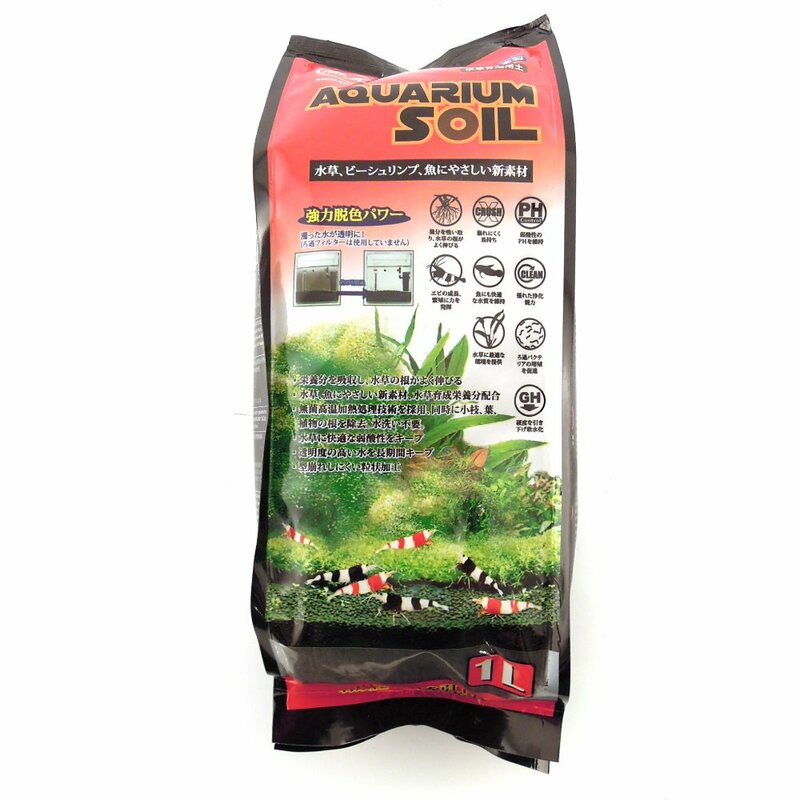 Aside from aquatic plants, the formula is suitable for fish, dwarf shrimp, and beta fish. Unfortunately, there’s not much info on the mineral content of the substrate. However, it seems to support the root systems of almost any water plant. One source says that the soil is from Japan. It has a great natural color that adds life and style to your tank. Porous granule structure allows the roots to penetrate and attach easily. Suitable for fish, little shrimps, and plants. Initial cloudiness when setting up. ​It’s not so widely used, so it’s not as trustworthy as the more popular options. A little more expensive than some other options. Looking for a substrate for your planted aquarium requires some thought and consideration. You first have to take note of what's in your tank so that you can narrow down your choices. Most substrates might seem the same, but there are some differences in the features. Read about the consistency or texture, the nutritional content, and even origin of the substrate because that's where the differences lie. While all the options show great outcomes in aquatic plant life, there can only be one best. As for me, it would be the Carib Sea Eco Planted Aquarium Substrate. It contains all the essential nutrients that support healthy plant growth while having a reasonable price.